Turku University of Applied Sciences in Finland was the host for the final WelDest seminar on 16. - 17.9.2014. An audience of app. 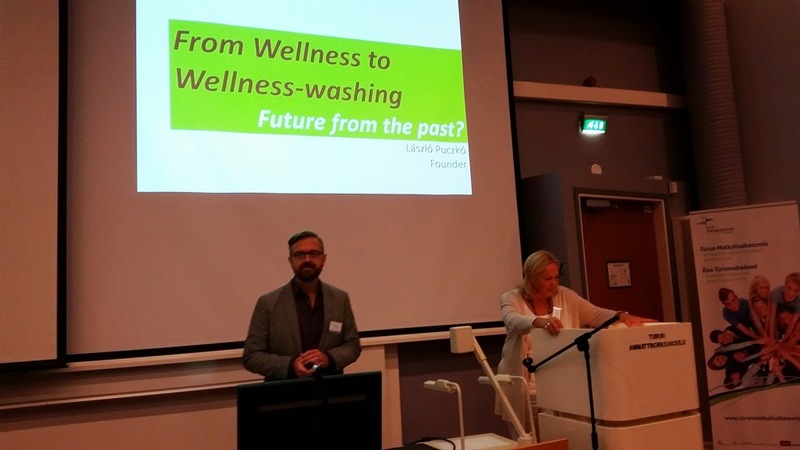 130 students, researchers, teachers and health & well-being industry representatives from all over Finland enjoyed the variety of excellent key-notes and presentations as well as Turku hospitality. After the opening from Henna Konu (University of Eastern Finland) on Finnish well-being was Dr. Laszlo Puczko from Budapest, Hungary. He was being very critical and asking if wellness is just wellness-washing..
Tuesday evening social program took us to Naantali - our partner destination. Mother nature pampered us with a lovely sunny evening, and everybody enjoyed the stroll from the medieval church via the old town to Villa Randala for dinner. The second day dedicated to industry related key notes from e.g. Visit Finland, Naantali Tourism and Kultaranta Resort as well as the results of the Finnish Weldest researh data. As international key notes we had Anna Bjurstam from Sweden and Nina Tsymbal from Russia. All presentations are now available here in the blog and later on we will also release the recording of the first seminar day.